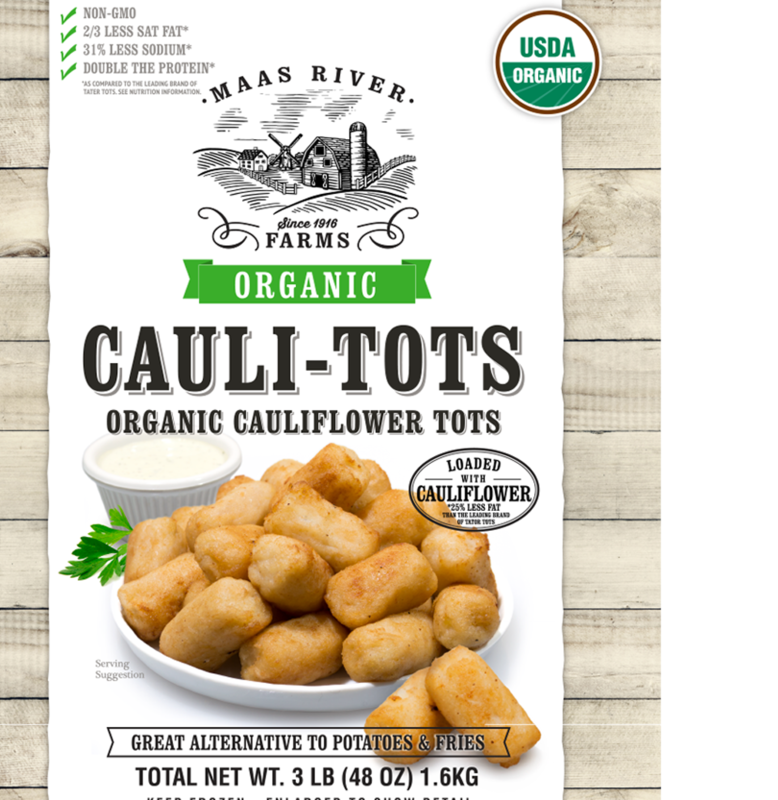 Maas River Farms Cauliflower Tots are Cauliflower Florets that are chopped and formed into a tot. 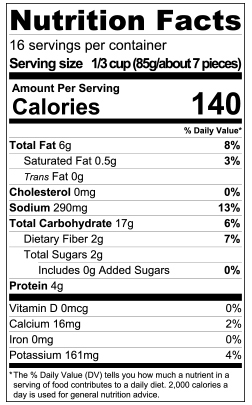 Once cooked, they are light to golden brown in color with a firm and crunchy coating. 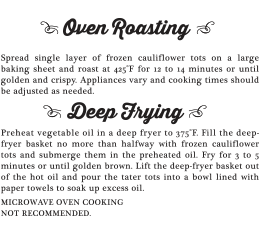 Perfect for snacking, Cauliflower Tots are a healthier alternative to Tater Tots!